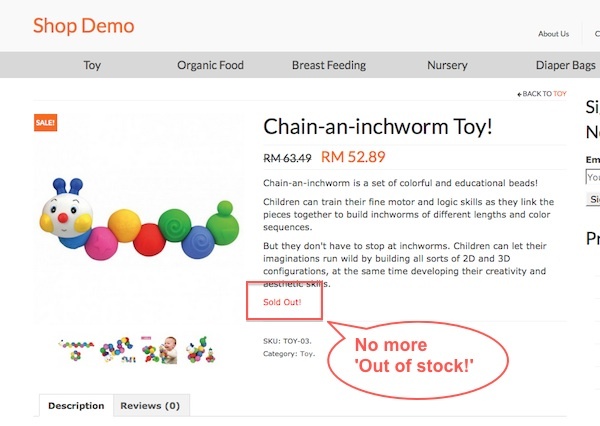 If you are using Woocommere to sell service or anything that is not physical then you might want to change the ‘Out of Stock’ text to ‘Sold out’ or some other more meaningful words. Before i do the changes, i thought changing the ‘out of stock’ text is just a easy peasy work but end up cannot find the template. Then i only realise it might be control by a hook. After going thru the woocommerce hook documentation, and i found the answer there! When there is an order being made in Woocommerce, email will be send to administrator. Some of you might want to add additional recipients to receive these email for future reference or as notification. 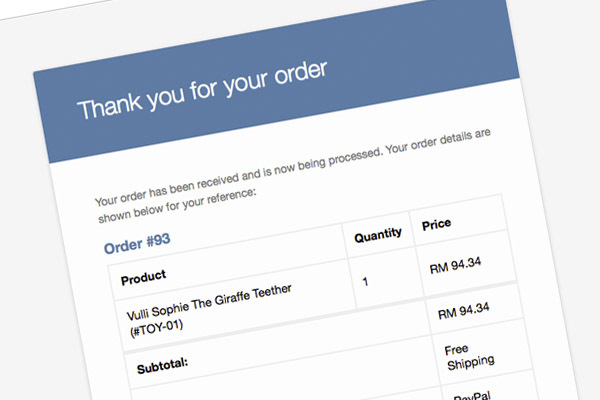 Fortunately, Woocommerce come with a handy filter that can be use to override the default email headers. I’ve this function that allow you to send the bcc email according to different order status. Hope this function give you more flexibility in sending email according to different order status.